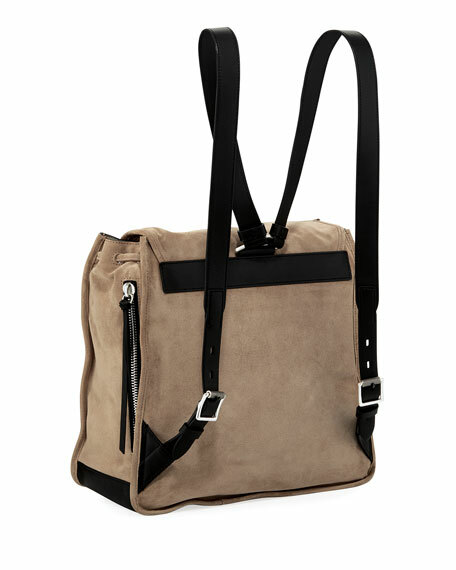 Crafted in calf suede, this new relaxed shape in the field group, will rapidly become your ideal carryall city companion. 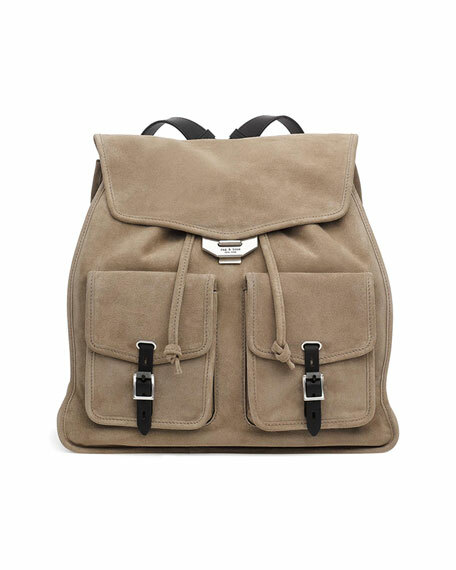 The front flap opens up to gives easy access to a spacious interior that will fit your laptop. 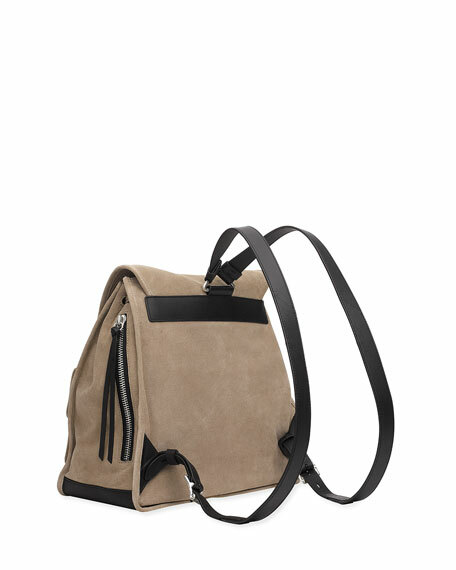 Rag & Bone "Field" calf suede backpack. Contrast adjustable leather shoulder straps. 11"H x 11"W x 6.5"D.